Have you even thought what a clubman would look like if you started afresh and took advantage of the latest materials, suspension designs and computer modelling. PRB Australia has done just this and produced what has been described as the worlds most advanced clubman. The PRB composite features an exceptionally rigid composite monocoque chassis made from aluminium honeycomb composite matched to highly tunable independent front and rear suspension. Specially customised roadster and circuit racing configurations are available and can be further tailored with factory options to suit the most demanding drivers. The PRB composite is built around an exceptionally rigid composite monocoque chassis made from aluminium honeycomb. A CAD designed front bulkhead is CNC milled from an alloy billet and is used to locate the front suspension, rocker arms and dampers. The monocoque chassis allows the cars movement to be controlled entirely by the suspension. This makes the car very precise to drive without any distracting chassis flex or scuttle shake. Drivers are able to feel even subtle changes to the suspension settings greatly reducing set-up and chassis tuning effort. PRB’s composite monocoque is built to withstand the rigours of circuit racing. The driver is set well back in the chassis and surrounded by an extremely strong passenger compartment. Any impacts from the typical knocks and bumps of racing are absorbed by the front or rear subframes with only simple component replacement required to return the car to the race track. 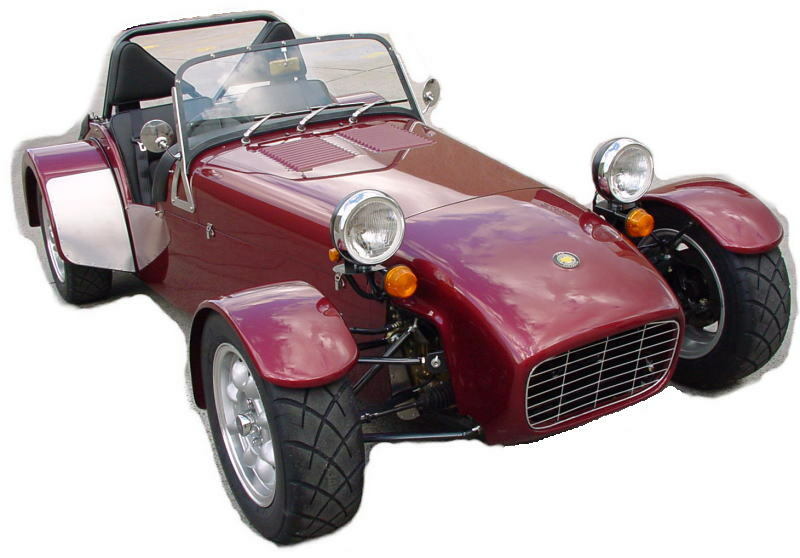 Traditional clubman are based on Colin Chapman’s 1950’s clubman design. This lightweight minimalist design delivered outstanding performance in its day with the cars becoming motorsport favourites. Modern engines and tyre technology have advanced considerably since the 1950’s and really stretch the capabilities of the original design. While the original tube-frame design will satisfy drivers looking for traditional performance, there are many drivers who are now in pursuit of the "ultimate" clubman experience. How does 0-100km/h in 3.8 seconds with up to 2G’s of braking sound. The PRB composite’s performance exceeds that of all but the most exotic of street legal cars. 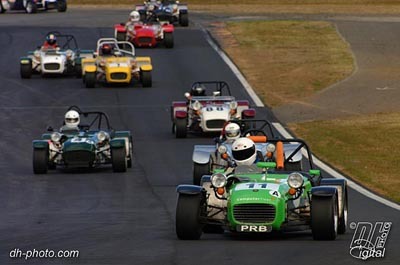 PRB clubman have been raced in all fields of motorsport throughout the last 25 years. PRB Australia has worked closely with racers continuously improving the design and therefore performance of the cars. This pursuit of excellence has seen the PRB clubman clearly recognised as Australia’s most capable clubman. If you want to win on the racetrack you pretty much have to race a PRB. Look at clubman lap times at any racetrack and the PRB’s are invariable the quickest clubman. The PRB composite roadster is built for drivers looking for the ultimate road driving experience. Supplied standard with full road trim and wet weather gear the roadster is well suited to daily driving, weekends away, road rallies, and club motorsport. Simple adjustment of the dampers and tyre pressures is all that his required to transform the roadster into the most capable club racer. The PRB composite circuit racer is ready for the racetrack and designed specifically for motorsport use. Road trim is replaced with race trim. Unnecessary items are left out in order to reduce both the weight and cost. Included standard is a limited slip differential and race spec suspension. Either package can be upgraded with factory options including lightweight carbon/kevlar panels, high output engines, 6 speed sequential gearbox or Motec digital instrumentation. Pictures in this brochure are for illustrative purposes and may show equipment not suitable for road registration. Monocoque Aluminium clad monocoque constructed from 1" Aluminium honeycomb composite, epoxy glued and riveted with milled aluminium front bulkhead. Brakes Four wheel disc brakes. Vented front discs. Bodywork Lightweight kevlar/fibreglass nose, scuttle, front and rear guards, rear diffuser, boot cover. Carbon fibre instrument panel. Aluminium bonnet. Instrumentation Classic round instruments. Speedometer, tachometer, water temp, oil pressure, fuel level and voltage. Engine 160hp Toyota 4A-GE 20 valve 1600cc engine. Optional: 200hp and 225hp race only engines. 200hp Race prepared 20-valve engine. Blue printed bottom end. Fully race ported head with high lift/duration camshafts. Capacity 1600cc. 5 speed close ratio gearbox Close ratio 5-speed gearbox with straight cut or helical gears. Available in H pattern shift with synchro or dog engagement hubs. 6 speed sequential close ratio gearbox Quaife 6-speed close ratio gearbox. Straight cut gears utilising face-dog engagement hubs. Allows for precise tuning of dampers to suit circuit conditions and driving style. Supplied with EIBACH race springs. Brakes Four wheel disc brakes. Ventilated front discs. ADR approved stainless steel braided brake lines Four wheel disc brakes. Ventilated front discs. ADR approved stainless steel braided brake lines. Heavy duty carbon metallic brake pads.